What does spirituality have to do with success? It’s great to live a spiritual life. To me, it’s even greater to live a spirituality based life AND to enjoy the success that you’ve been dreaming of. The great news is that you can do BOTH. In reality, combining effective spirituality techniques with success principles gives you a better outcome than trying to do things separately. Hi, I’m Della Menechella. I’ve spent the past three decades using spiritual tools and success principles to achieve my financial prosperity and business goals. I’ve become a master at knowing what works – and what doesn’t. I specialize in teaching women, just like you, how to use unique tools and techniques so you can achieve your big goals more easily, more quickly, and with better results. If you’re a spiritually oriented woman entrepreneur, solopreneur or aspiring entrepreneur and you’re stuck because you can’t see the way to connect the dots to your vision, you’re in the right place. I created this website specifically for you. 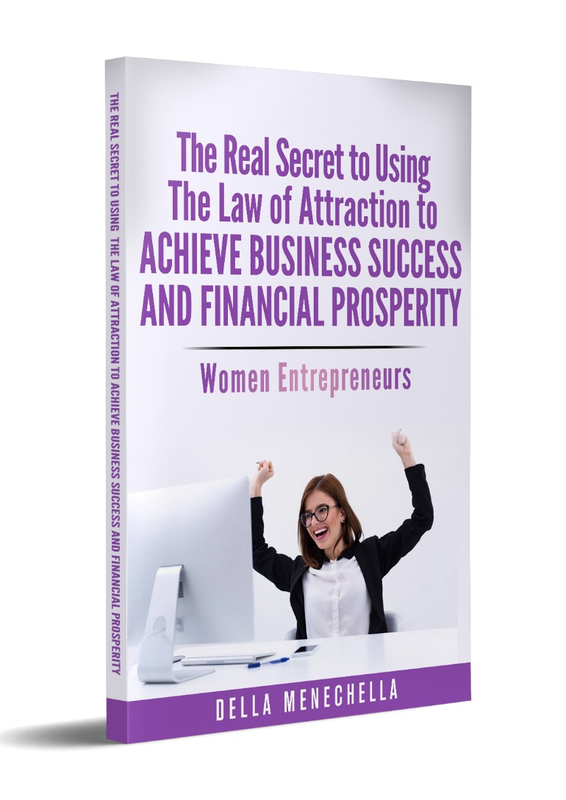 It is filled with simple, practical, step-by-step tools and techniques that can provide you with the inside information about how to make your business vision and financial prosperity dreams a reality. Many abstract spirituality and success concepts sound great, but if you’re like most of the women I work with, trying to figure out how to actually apply these ideas in your business and your life is a lesson in frustration. If you’re a spiritually oriented woman who is an entrepreneur, solopreneur, or aspiring entrepreneur, this website is dedicated to YOU! You have a big goal or vision that you’ve been dreaming about achieving. The Universe gave you your vision because you are meant to manifest it. You just need to learn how to think and act in the right ways so you can finally achieve what you want. The good news is that I can help you do just that. Learning how to stay positively focused on your vision so you can finally achieve it. If you’ve been struggling to achieve success, there isn’t anything wrong with you. You’ve just been using strategies that have been working against you. I will teach you the strategies that can work for you. You have what it takes to be successful while also living a spiritually based life. I am committed to teaching you effective processes which will help you do both. I have decades of experience in these areas and I am delighted to share them with you.